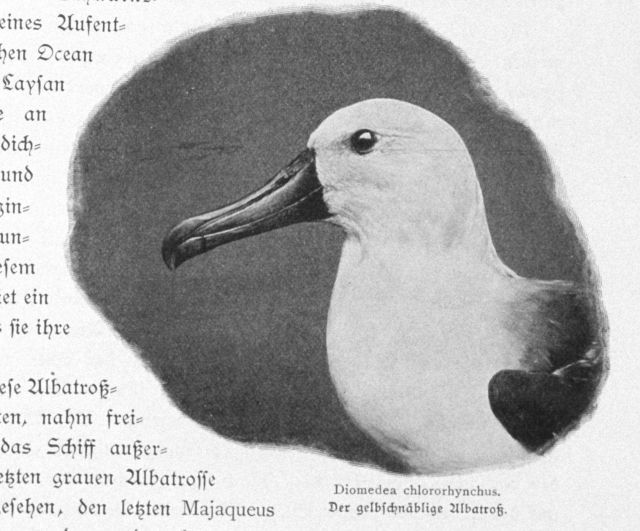 Yellow-nosed albatross, Diomedea chlororhynchus. P. 311. In: “Aus den Tiefen des Weltmeeres” by Carl Chun, 1903. Call No. Q115.V15 1903.